I am a contributing editor/writer/troublemaker for NBC's Pro Hockey Talk blog. Every now and then, Olympic Talk will look back at athletes and/or stories who were memorable, even if they didn’t end up earning medals. As it turns out, some of the best stories don’t come with gold, silver or bronze. Swedish skier Henrik Harlaut finished sixth in the men’s ski slopestyle event, but his skiing proved secondary to … just about everything else. His dreadlocks made quite the first impression, yet he might have slipped under the radar if his pants didn’t slip down so easily. Instead, he exposed what apparently is a cultural thing in the sport; it turns out that suspenders can be a wise investment in the sport. Harlaut briefly saluted Wu-Tang Clan during the Olympics, and word got to the legendary hip-hop group, as Method Man responded in kind. But, really, how could anyone forget a face like this? Much like its snowboarding sibling, ski cross tends to invite chaos. It should be no surprised that such chaos draws in a pretty zany (and fearless) group of characters. Sometimes people with phenomenal style don’t even know it (see: people with mullets in the late ’90s) or at least pour on the false follicle modesty in acting that way. Flisar’s helmet makes it pretty clear that he’s aware of his head-turning mustache. 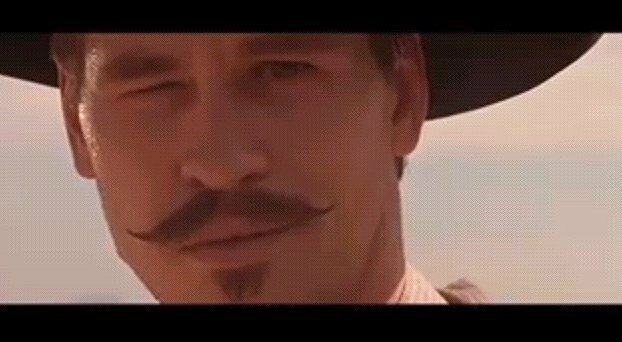 One might say that his brilliant ‘stache is one part Val Kilmer as Doc Holliday in “Tombstone” and one part mustache-twirling villain tying a damsel in distress to train tracks. Again, wild style isn’t all that shocking in ski cross, as NBC’s Skyler Wilder noted on Feb. 20. U.S. figure skater Ashley Wagner’s Olympic appointment was controversial in some circles, but she skated well enough to justify her inclusion in many minds. Wagner didn’t just express herself when seeing her figure skating scores, either, as she provided unusually candid play-by-play of her routine and also provided some very frank criticisms of the process following the Adelina Sotnikova – Yuna Kim controversy. Not many figure skaters describe their own eyes as “crazy” and are willing to change up their routine about a month before Olympic competition. Really, Wagner might just be one of a kind, which is while she should be remembered even without a medal. … And if she has her way, she’ll get another chance.